Brookfield Place, originally known as the World Financial Center, is a shopping center and office-building complex located across West Street from the World Trade Center site in the Battery Park City neighborhood of Manhattan, New York City. 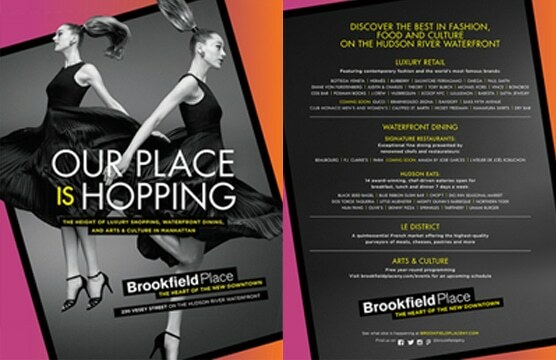 Promote the grand opening of the luxury retail, dining and arts center. Target affluent, fashion enthusiasts with a spread creative in 3 distinct fashion-forward magazines.